Rocky Balboa (also known as Rocky VI) is the sixth film in the Rocky franchise, written, directed by and starring Sylvester Stallone, who plays underdog boxer Rocky Balboa. 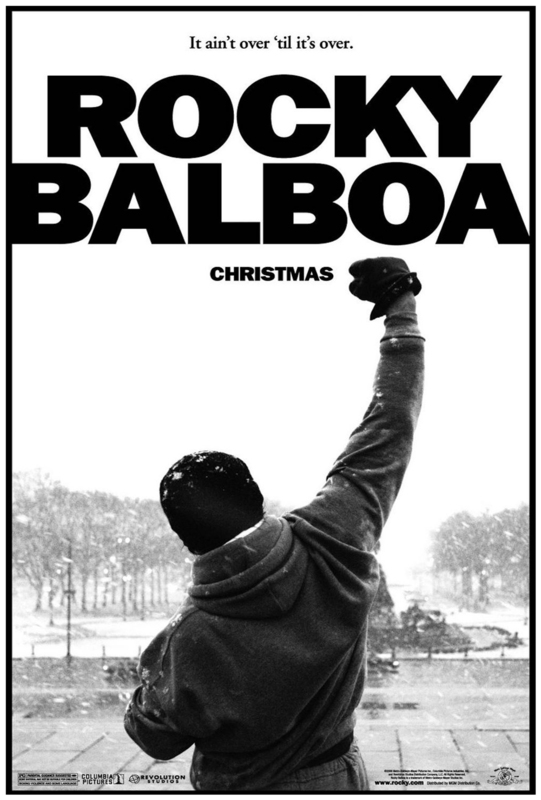 The Rocky series began with the Academy Award-winning Rocky in 1976. The film portrays Balboa in retirement, a widower living in Philadelphia, and the owner and operator of a local Italian restaurant called “Adrian’s,” named after his late wife. In addition to Stallone, the film stars Burt Young as Paulie, Rocky’s brother-in-law, and real-life boxer Antonio Tarver as Mason “The Line” Dixon, the heavyweight division champion in the film. Boxing promoter Lou DiBella plays himself in the movie and acts as Dixon’s promoter in the film. Milo Ventimiglia plays Rocky’s son Robert, now an adult. It also features the return of two minor characters from the original movie into larger roles in this film: Marie, the young woman that Rocky attempts to steer away from trouble; and Spider Rico, the first opponent that Rocky is shown fighting in the original film. A widower now, Rocky has fallen into a routine of looking back to his past. Rocky now owns a small restaurant in the heart of Philly, he finds himself telling stories to those that ask about old fights and taking photos with his fans. Paulie, his wife’s brother shows him an ESPN exclusive about a virtual fight between reigning undefeated heavy weight champion of the world Mason “The Line” Dixon and Rocky. Rocky is victorious in the computerised bout. Rocky feels like he needs to get back in the ring. Not for a title shot, but for some local fights that will satisfy his love of the game. When Rocky is approached by Dixon’s managers Rocky can’t turn the semi charity event down. Rocky, Duke (his former trainer), Paulie, and Rocky Jr. get to work training the former two time heavy weight champion of the world. The film was released on December 20, 2006, by Metro-Goldwyn-Mayer, Columbia Pictures and Revolution Studios.